Serge Gainsbourg (2 April 1928 – 2 March 1991) was a French singer-songwriter, actor and director. Gainsbourg’s varied musical style and individuality made him difficult to categorize. His legacy has been firmly established, and he is often regarded as one of the world’s most influential musicians. Sade is an English group, which achieved success in the 1980s, 1990s, and 2000s. The band’s music features elements of soul, jazz, R&B, quiet storm, soft rock, funk, easy listening, and adult contemporary. Nitin Sawhney (born 1964) is an Indian-British musician, producer and composer. His critically-acclaimed work combines Asian and other worldwide influences with elements of jazz & electronica & often explores themes such as multiculturalism, politics and spirituality. Nils Petter Molvær also known as NPM (born September 18, 1960) is a Norwegian jazz trumpeter, composer and producer. He is considered a pioneer in Nu jazz and especially the fusion of jazz and electronic music, showcased on his best-selling album Khmer, released by the German record label ECM in October 1997 in Europe and early 1998 in North America. Eunice Kathleen Waymon, better known by her stage name Nina Simone (February 21, 1933 – April 21, 2003), was a Grammy Award-nominated American singer, songwriter, pianist, arranger and civil rights activist. Matt Bianco is a UK band that was formed in 1983. They are mainly known for their success in the mid 1980s and their jazzy, Latin-flavoured music. Marianne Faithfull (born 29 December 1946) is an award-winning English singer, songwriter, actress and diarist whose career spans over four decades. Her early work in pop and rock music in the 1960s was overshadowed by her struggle with drug abuse in the 1970s. 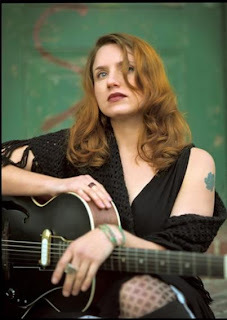 Jolie Holland (born May 17, 1976 at Houston, Texas) is an American singer & performer who combines elements of folk, traditional country, jazz, & blues. She is one of the founding members of The Be Good Tanyas. Labelmates Tom Waits & Sage Francis are both outspoken fans of Holland’s. Tom Waits nominated her for the Shortlist music prize. Sage Francis has said that Holland’s album Escondida was his most listened to album of 2005. Holland also collaborated with him on two tracks on his album Human the Death Dance. 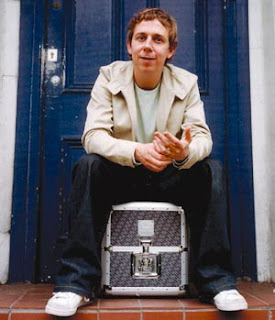 Gilles Peterson (born 28 September c.1964) is a DJ, record collector and record label owner from London, UK.